Many new Toyota's don't have a timing belt at all. For those that do, this is an important service in order to keep your vehicle running. 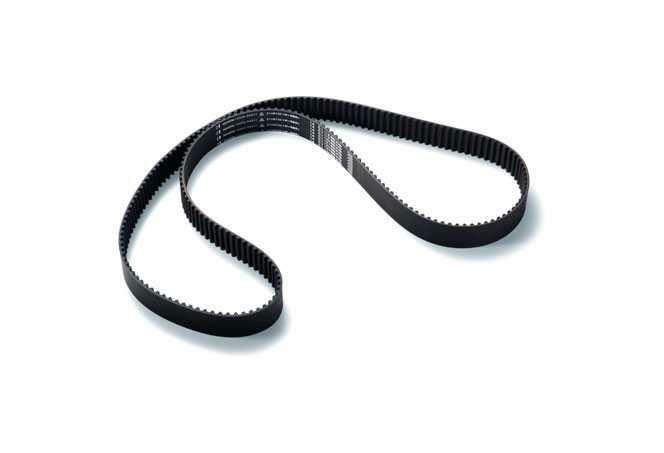 A timing belt is a part of the engine that synchronizes the rotation of the crankshaft and the camshaft(s) so that the engine's valves open and close at the proper times during each cylinder's intake and exhaust strokes. That’s the technical description and simply put it keeps the engine parts firing at timed intervals so that nothing collides. Because the costs involved with inspecting the timing belt are often similar to those of replacing it, many customers find it more cost effective to replace the timing belt based on Toyota’s guidelines instead of ever paying for an inspection. Should the timing belt break while you are driving the vehicle, severe engine damage can result. This simple maintenance should be done at recommended intervals thereby avoiding any possible larger issues. Once again it’s about prevention and saving time and money while keeping your vehicle in top operating condition. A Genuine Toyota timing belt is an exact replacement for the original part for your vehicle, so you can be sure it will fit properly, perform reliably, and last until the next replacement interval.